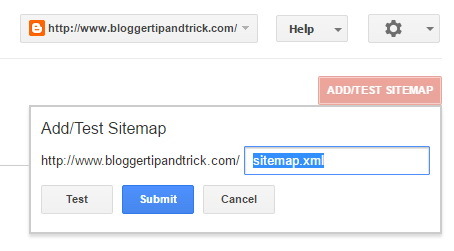 This quick tutorial explains about adding the sitemap of your blogger blog to the Google search console (Google Webmaster Tools). Every blogger blog has a sitemap.xml file is automatically generated by Blogger. You can view it adding "sitemap.xml" to the end your blogger address. So sitemap URL will be http://YOURBLOGNAME.blogspot.com/sitemap.xml. 1.First sign into your Google Search Console account. 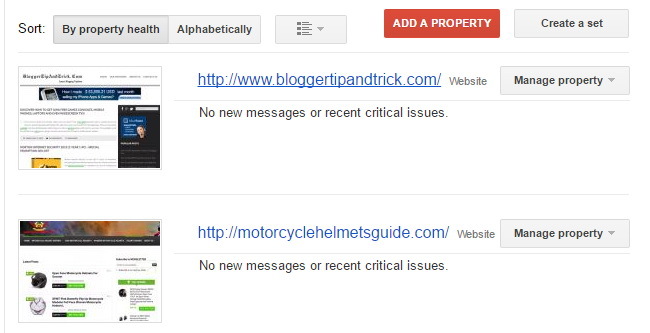 2.Now click on your website name (Note: Your website should have already added to the Search Console). 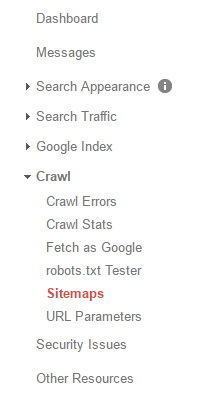 3.Go to "Crawl" → "Sitemaps". 4.Click on "ADD/TEST SITEMAP" button. 5.Add the word "sitemap.xml" to the text input and click on "Submit" button. One of the most Important website i have ever visited. I could not find the 'Add General Web Sitemap' button but there is a "Submit a Sitemap' button. I have submitted my feeds but both the atom and rss feeds have the same format which is atom feed. I don't know how to change this. My site status is X. Please do advise on how to go on with this. Thanks!